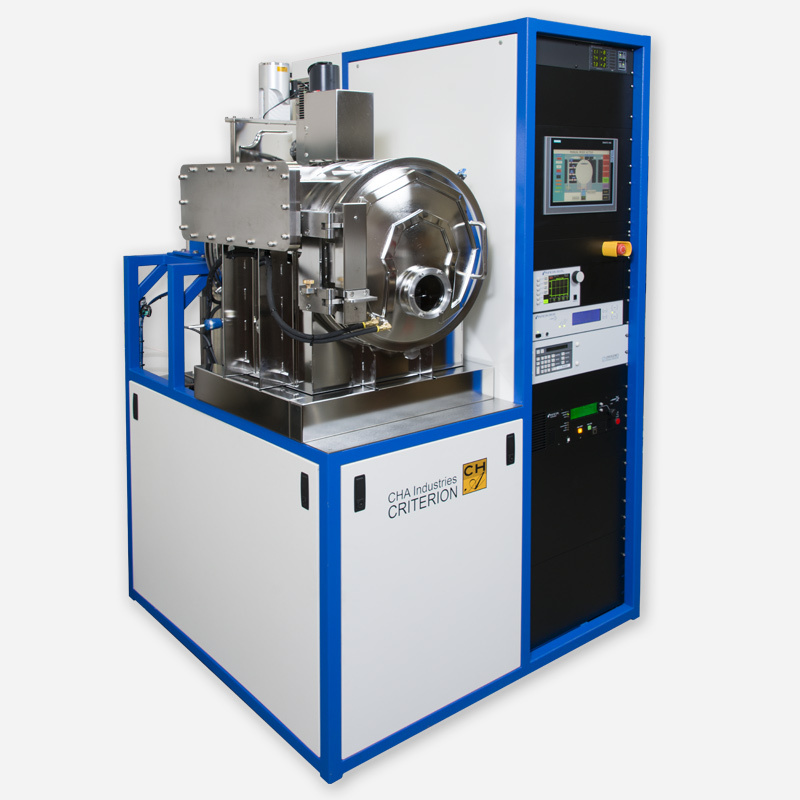 Criterion - CHA Industries' premier system for R+D, Pilot line production and Unversity requirements. 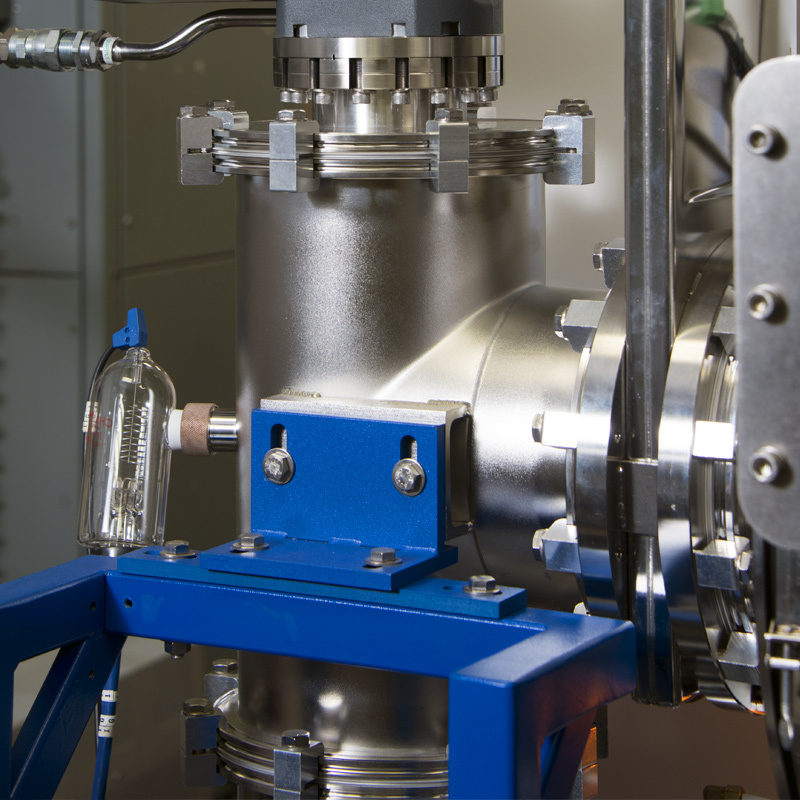 Criterion with load lock, electron beam gun, substrate heating and lift-off dome. Criterion's chamber view with LO dome (shutter open) and EB Gun. 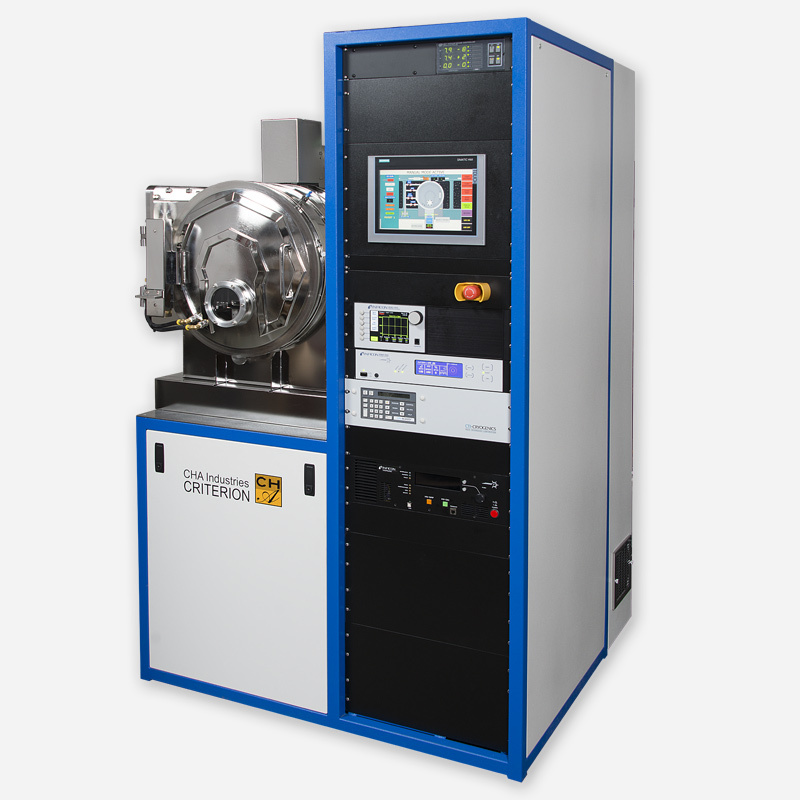 Targeting R+D, Pilot Line Production and university requirements, the new Criterion system offers midrange sizing incorporating both load lock and source isolation options. The Criterion Systems feature a hinged, water-cooled front door and a new frame design. 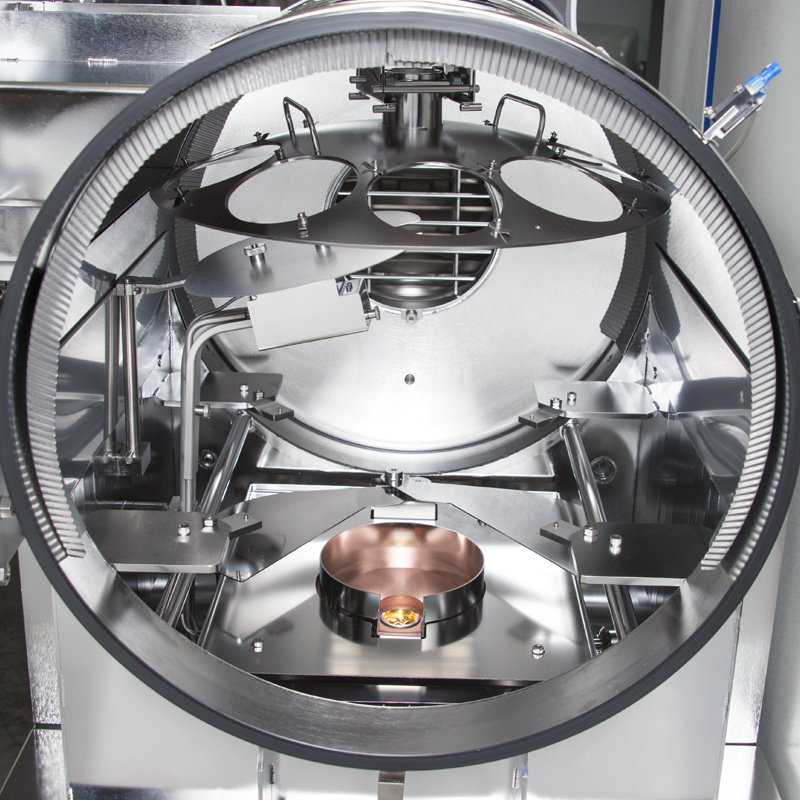 The new chamber design will accommodate many tooling configurations and a variety of deposition sources and combinations of sources. Control is achieved via a touch screen PC/PLC. Copyright © 2017 CHA Industries, Inc. All Rights Reserved.